Accent Profile Laser Wire® Cabling is ideal for long spans of light, and projects that need require illumination over a long distance. 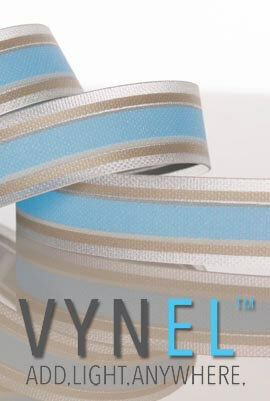 This product provides 32 feet of cabling! Accent Cabling is specifically designed with long runs of light in mind to give you the most even bright light available, brighter and thinner than EL Wire, and longer lasting too! 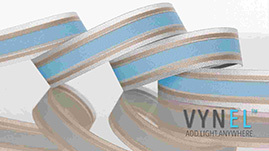 Accent Profile Laser Wire® Cabling is a great solution for lighting projects that demand a longer length of cable. An Accent System is different than our Pop and Ice Laser Wire® Cable, because it is specifically designed to reflect the light in a way that it is able to span evenly over longer distances. The purchase of a 10M kit will give you close to 33 feet of Illumination, all powered from two small compact and Laser Wire® Modules. With a DualDrive Kit, a Laser Module will be able to be attached up to each end of the cabling. Smooth color gradients can be achieved, and blinking or fading patterns let you customize your project to be in perfect alignment with your vision. You can pick out your two favorite colors and seamlessly blend them both together for an effect that is unmatched in the world of lighting technology.